Plants produce their own organic matter from water (mineral salts) and CO², assimilated by the leaves thanks to solar energy; the mechanism of photosynthesis. Through the stomata covering their leaves, the plants consume CO² and release oxygen. Indoors, none of the natural elements that generate are present, except the plant itself. 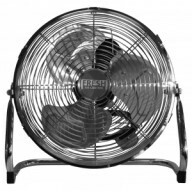 To view our range of Environment Control Systems, click on the sub-categories below. 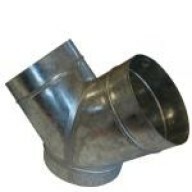 125mm/5" Combi Ducting ApplicationThe COMBICONNECT product is suitable for the use of exhausting stale used air and the supply of fresh air in the growing enviroment, Using an interior of aluminium the temperature range is up to 140° C and the outside layer gives a mechanical strong product. 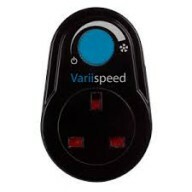 ..
Plug In Fan Speed controller Plug an uplighter or lamp etc into the dimmer, which plugs straight into a standard UK plug socket, then you will be able to adjust the brightness of the light by simply turning the dial on the dimmer. 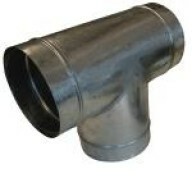 The dimmer can also be used as a fan speed controller, to adjust t..
150mm/6" 5M Combi Ducting ApplicationThe COMBICONNECT product is suitable for the use of exhausting stale used air and the supply of fresh air in the growing enviroment, Using an interior of aluminium the temperature range is up to 140° C and the outside layer gives a mechanical strong produc..
Acoustic Ducting 4" 5m 4inch - 100mm Acoustic Ducting reduces noise produced from your grow room ventilation systems. 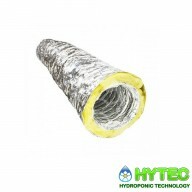 Air movement produces noise as it passes down standard ducting, acoustic ducting due to its insulated fibre glass layer dramatically dampens the air movement noise creating a quie..
Acoustic Ducting 5" 5m 5inch - 125mm Acoustic Ducting reduces noise produced from your grow room ventilation systems. Air movement produces noise as it passes down standard ducting, acoustic ducting due to its insulated fibre glass layer dramatically dampens the air movement noise creating a quie..
RAM Combi-Duct Lightproof Ducting - 254mm A 4 layer multi-laminated construction with an encapsulating high tensile steel wire helix that ensures strength and durability. 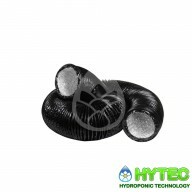 The black PVC outer is totally plant safe and a strong vapour/light barrier ensuring extra air tightness over standard a..
Acoustic Ducting 6" 5m 6inch - 150mm Acoustic Ducting reduces noise produced from your grow room ventilation systems. Air movement produces noise as it passes down standard ducting, acoustic ducting due to its insulated fibre glass layer dramatically dampens the air movement noise creating a quie..
RAM Combi-Duct Lightproof Ducting - 127mm x 10m A 4 layer multi-laminated construction with an encapsulating high tensile steel wire helix that ensures strength and durability. The black PVC outer is totally plant safe and a strong vapour/light barrier ensuring extra air tightness over standard a..
A must-have product to ensure even room temperature and as an aid to plant transpiration. 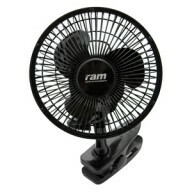 A must-have product to ensure even room temperature and as an aid to plant transpiration. 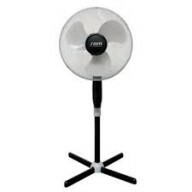 The FRESH Floor Air Circulator features a high performance motor and has a stylish chrome finish, 360 degree tilt adjust..
Pedestal fan 16" This fan has 3 speed settings, automatic swing and adjustable head. ..